4th Frimaire, Year 2 of the Republic. It was twenty hours since du Pont had seen his wife and baby. Returning from Bois-des-Fosses to Paris meant a prolonged passport inspection at the barrier, and crossing the Seine and the dark city to his empty apartment. 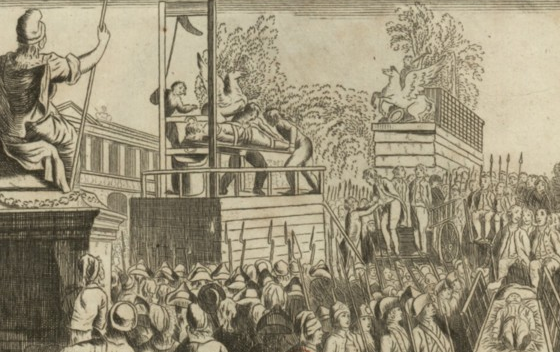 In the Place de la Revolution, blood clotted in rivulets beneath the guillotine. The cathedral was re-dedicated ‘To Philosophy’; its statues were dismembered; the Cult of Reason replaced ‘superstitions’ with ‘Enlightenment’; people worshipped ‘Liberty’, personified by an actress in white drapery. Life was getting harder. Du Pont, aged twenty two, ran his father’s printing press. After an hour’s sleep he had spent the day touring the city with wads of worthless assignats, procuring paper supplies for the new decimal calendars. Now a crescent moon floated in a black-banded winter sky. People stayed inside, leaving the streets to the night and the surveillance of unseen eyes. With no time to rest, he donned his uniform and reported for Guard duty. Their captain, back from the Depot, clapped the door of the Guards’ post shut behind him. He read out the arrest warrants in a lantern’s ochre light. He let out a gluttonous chuckle. The captain pulled him forward into the light. “You know any of these men?” he asked. Du Pont took the papers, keeping his face under control. “Delaage, Bagneux, Paulze, Lavoisier, Puissant…” Thirty-four financiers. “Didn’t you work with Lavoisier?” The captain was looking straight at Du Pont. They left the guard post. Du Pont buried his hands in his coat pockets, shoulders hunched against the stinging cold. “Where now?” asked Joseph. He was a big, stupid man who had once worked in the royal stables. The Revolution had made him workless and wasted; he starved and blamed it on ‘tyranny’. Du Pont wanted to avoid the Boulevard de la Madeleine, at least for long enough for Lavoisier to get away. “The Arsenal. He might hide there,” he ventured, hoping he was wrong. The Arsenal was beside the ruined Bastille. The laboratories were abandoned; the guards walked them past bare shelves and benches. “Nothing, let’s go.” He would never explain oxygen to Joseph. ‘Try the Boulevard de la Madeleine,” said the guards. “No 243.” The Lavoisiers’ butler, acknowledging du Pont with merely a raised eyebrow, asked them to wait in the salon. The candles were lit, and a fire burned in the hearth. The apartment was furnished with a restrained grandeur. “Is that what he looks like?” asked Joseph. David’s portrait showed Lavoisier at a writing desk over which blood-red velvet flowed. Sleek, dressed in black, he gazed up at his wife who stood resting her arm on his shoulder. She looked ready to utter a sarcasm, her chin firm, her eyes bright. Around them were glass vessels and brass instruments, and a folio of her scientific engravings. Madame Lavoisier entered the room. Despite the late hour, her blonde hair was carefully dressed; her body was rigid in green twill. Du Pont lowered his eyes, ashamed of his uniform, and the arrest warrant in his hand. Du Pont relaxed. Lavoisier must know of the arrest warrant; perhaps he had escaped Paris by now. “We’ll search your premises,” said Joseph. The butler, holding a candlestick, conducted them through several rooms. A dining room, a study piled high with papers, a library, bedchambers. A large wine cellar was stuffed with a jumble of apparatus, thousands of vessels in brass and glass, jars of minerals, calorimeters, a pneumatic machine with two copper cylinders, compasses, barometers, and scales. ‘Careful!’ said du Pont, as a piece of glass cracked under Joseph’s boot. Masselot ushered them out, following Joseph up the cellar steps, with du Pont behind him. Halfway up, Masselot passed du Pont a letter. It had struck two when du Pont got home. Lighting a candle behind closed shutters, Du Pont sat on his unmade bed and read the letter. Lavoisier had addressed it to the Committee of Public Instruction. Du Pont put out the light. He was exhausted beyond sleep. Couldn’t Lavoisier see they meant to finish him? People cared nothing for metrication when their prey was a financier. It was a risk to help him. But, in the morning, he called on Fourcroy, who remembered him as a student from the Arsenal. 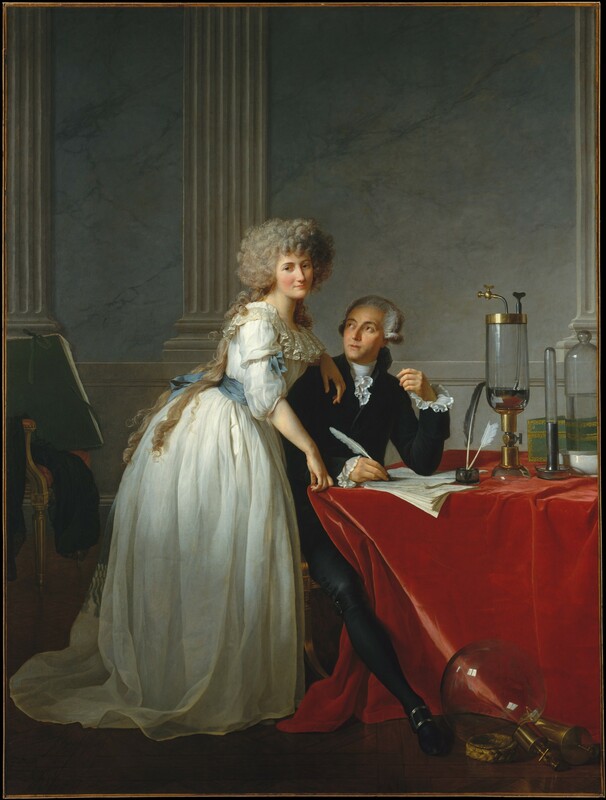 Fourcroy had worked with Lavoisier on the chemical elements, and now was rising to power in the National Convention. He was in his office at the Tuileries. “I shan’t ask where you got this letter, young man.” Fourcroy had a cherub’s face, with a plump mouth and serene eyes, but he frowned at du Pont, who was silent. “But he’s innocent,” objected du Pont. “Because the General-Farm was abolished three years ago by the National Assembly. But the accounts are still incomplete. They were due months ago. Citizen Lavoisier is one of the few who understood them, and he should come forward. Anyway, Citizen Halle is compiling a report, and I’m sure..” Fourcroy’s cherubic smile indicated that the interview was at an end. “Please convey this information to whoever gave you the letter,” he said. Du Pont delayed at the printing press before returning to Madame Lavoisier, wary of being followed. The darkness of the winter afternoon lay between the tall grey buildings of the Boulevard de la Madeleine. ‘I told both Messieurs to flee Paris,’ Masselot said, on seeing du Pont was alone. ‘My sister in the Jura would hide them.’ Paulze, Madame Lavoisier’s father, was also a Farmer-General. Madame Lavoisier sat in her usual place, beneath the portrait. After du Pont’s apologies were over, she enquired about his family, as if he were still a guest at one of her soirees. He reported what Fourcroy had said, that the Farmers-General would be released, if the accounts were in order. Two days later, du Pont heard that Lavoisier and Paulze had surrendered at the Port-Libre Prison. By 5th Nivôse, Year 2 of the Republic, the Farmers-General had been moved to their old offices. It would once have been Christmas Day. Tipping the gaoler, and handing over a food parcel, du Pont was conducted to their room. Iron bars were at the broken windows, and snow lay on the windowsill. Paulze shivered in a blanket on the floor. Lavoisier was writing at a desk, turning the pages of a ledger. “Can you defend the charges?” asked du Pont. “Well, yes, if I knew exactly what they were. At least I can consult our records, and draw up comprehensive accounts. The General-Farm was always ahead with payments to the Treasury. Nothing was ever owed. ” Lavoisier launched into a complicated description, and stopped, seeing du Pont’s look of bemusement. He changed the subject to the printing business. “I told you to publicise the editions to the booksellers in advance,” said Lavoisier. As du Pont left, the Memoirs of Chemistry under his arm, the gaoler took his arm with a grin. By 16th Floréal, Year 2 of the Republic, du Pont felt that he was visiting Lavoisier for the last time; the trial by the Revolutionary Tribunal was imminent. Lavoisier returned the Memoirs of Chemistry with a grimace. The defence of the Farmers-General was forty-two pages of quarto; du Pont printed fifty copies. He delivered them to the Revolutionary Tribunal, the Committee of Public Safety, and the public prosecutor Fouquier-Tinville. He gave Madame Lavoisier twenty copies to take to the Farmers-General. Before leaving Paris, he took a copy to Fourcroy. Du Pont was about to argue, but Fourcroy continued. Fourcroy spread his hands in a gesture of finality. 15th Thermidor, Year 4 of the Republic. Du Pont next saw Fourcroy two years later, at Lavoisier’s memorial service. The hall of the Lycée des Arts was draped in black, with banners inscribed ‘To The Immortal Lavoisier’, and twenty columns representing scientific discoveries. A choir sang secular hymns beside simulated tombs. Lavoisier lay in a mass grave, with his fellow Farmers-General, and a thousand headless others, including even the perpetrators of the Terror. His spirit was invited to hover above the assembly, and receive its homage. Fourcroy eulogised the man whose place in the sciences he now occupied. He spoke of the glorious years, during which Lavoisier created a new chemistry. And of a time when grief had been concealed, when friends were divided by terror, and when compassion led to danger. Of a prosecutor who declared the Republic had no need of scientists. 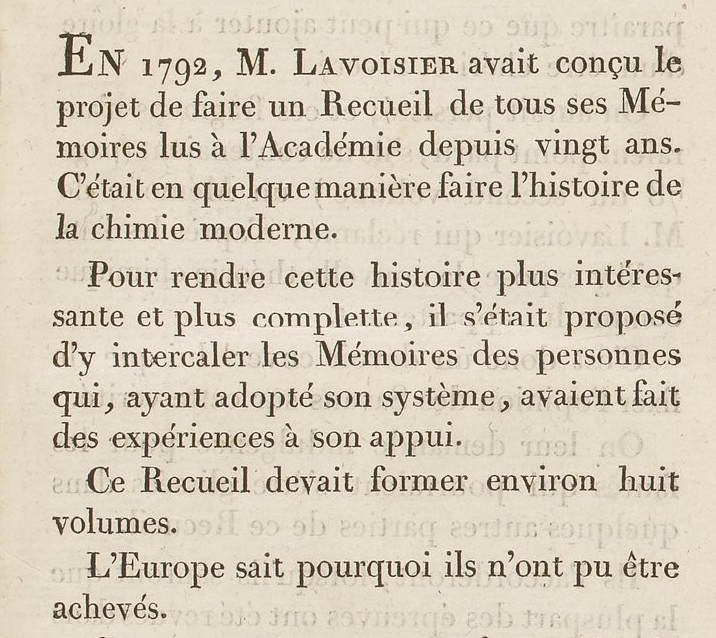 Lavoisier’s rehabilitation was complete. The huge audience included the most distinguished survivors; Du Pont looked for Madame Lavoisier, but she had stayed away. After leaving prison, she had been sheltered by Masselot. She had spared no effort until all of her confiscated property – the furniture, the books, the portrait, every single piece of scientific equipment – was recovered. 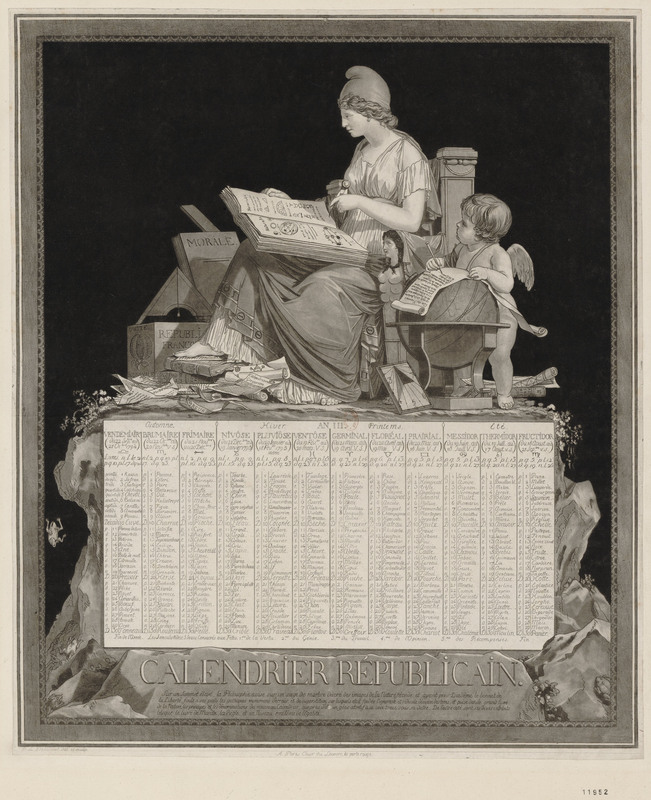 She ensured the publication of the Memoirs of Chemistry, commenting in her preface that Lavoisier had planned eight volumes, not two, but ‘Europe knows why these could not be achieved’. Du Pont raised capital, and crossed and re-crossed the Atlantic. America was the future, offering stability, freedom, and a developing market. Six years later, in 1802, he stood beside the Brandywine Creek, Delaware, looking at the land where he foresaw a gunpowder mills, a family home, and a leading chemical company. Acknowledgements: Lavoisier: Chemist, biologist, economist. Jean Pierre Poirier. University of Pennsylvania Press, 1993. Du Pont: The autobiography of an American enterprise. E I du Pont de Nemours & Company, 1952. Dedication: To my son, on the occasion of his achieving a Masters degree (with Honours) in Chemical Engineering, from the University of Sheffield, July 2015. Pingback: July 2015 Critique/Review/Thoughts | Aasof getting serious!